Despite their mere 110,000 km2 and 10 million inhabitants, Cubans used to joke 30 years ago that they had the largest country in the world: our population is in Miami, our army is in Angola, and our capital is in Moscow, they’d say. 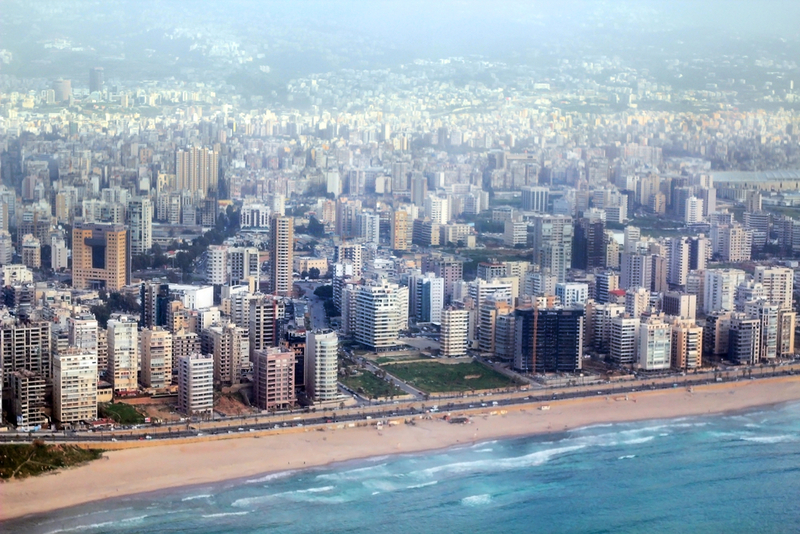 In some ways, Lebanon’s situation (10,000 km2, 4.2 million inhabitants) resembles Cuba’s. The army is in Lebanon, but the population is spread across the globe, the market extends across the Arab world, the economic capitol seems to shift towards Dubai, and its students are increasingly in the U.S., London or Paris. Lebanon has many positive sides. It has a large proportion of highly qualified citizens, initially educated at prestigious institutions like the American University of Beirut, Saint Joseph University and Beirut Arab University, which graduate numerous executives and engineers, many of which continue their education in high-ranking European and American schools. There is also the entrepreneurial spirit and multiculturalism that has characterized Lebanon since the Phoenicians, and hasn’t been minimized by integration into the Arab world. Another advantage is that its internal divisions make Lebanon a trans-cultural laboratory, creating people particularly well-suited to understanding interpersonal problems caused by globalization. And when it comes to building a site, in Lebanon you can easily make it trilingual: English, Arabic and French, as Delphine Edde of Diwanee.com and Cyril Hadjithomas of Keeward.com explained. Lebanon’s civil society is creating innovative initiatives like the Beirut Green Project, which is attempting to create rooftop green spaces, and Metel Na shelta, reinventing cause pamphlets, and Twattarna.com, which facilitates debate between political powers via Twitter. Outside of these strengths, Lebanon suffers. Besides the ever-present threat of war, it has a weak telecom infrastructure, placing it behind Lesotho and Uganda in download speeds, ranking 161st globally. Despite Lebanon’s small population, it has a competitive advantage similar to that of much larger countries: a vast diaspora of between 12 and 15 million people, from a country that has a population of just over 4 million. They have landed everywhere from Senegal to the U.S.; there are more Lebanese in Brazil than in Lebanon; and they’re successful in their new homes. Maybe not as successful as Carlos Slim – the richest man in the world – but still. They make up a global network, with access to distant markets and, more and more frequently, a funding source for ambitious startups. No matter how useful it is, the diaspora doesn’t solve the problem of which markets young companies should target. “The innovation we can create here really doesn’t have a platform in Lebanon,” explains Cyril Hadjithomas, head of Keeward, a media ecosystem operating in several francophone nations and the U.S., during an informal conversation between a group of local entrepreneurs at Berytech, Lebanon’s oldest incubator. Of the twenty-odd people taking part in the conversation, two said they were aiming at the global market, an ambitious starting point. Another is present in Congo and in France, due to diaspora. A handful of others were targeting the Arab market. “The goal is to sell in the Emirates. That’s more than enough to start with,” one says.